The centrality of commensality – eating and drinking together in a common physical and social setting – in people’s everyday lives makes it a particularly important location from which to explore social relations and the working of politics. 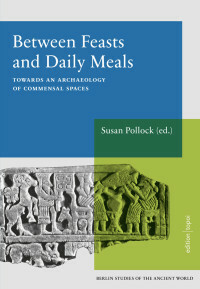 The recent focus in archaeology and related disciplines on feasting and other special commensal occasions needs to be balanced by attention to daily commensality, in which crucial elements of social reproduction take place. I highlight two particular forms of commensal practices, hospitality and provisioning, that resonate with many of the cases discussed in the papers in this volume. Finally, I point to a largely neglected area of study in archaeology, that of hunger and its implications for the politics of commensality.